MW (original edition) is released! 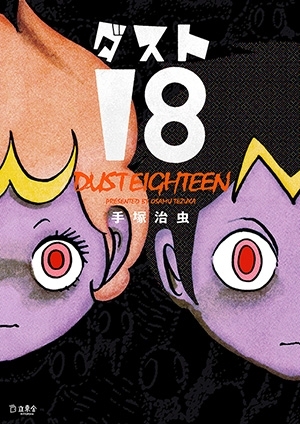 Dust 8 (original edition), also aka Dust 18 is firstly published as comic books. “Phoenix” new comic book version (a total of 14 volumes) is released. Marvelous Melmo Treasure Book is released. Tezuka Osamu Magazine has started in Myanmar. Tezuka Osamu Shoten News The free paper bag with new design! 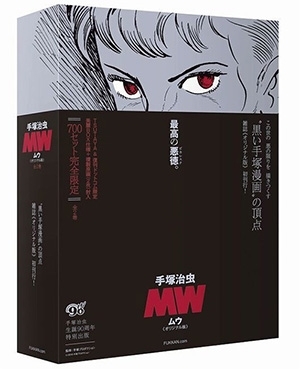 The Tezuka Osamu Complete Works (on-demand edition) is now available. Tezuka Osamu Shoten Gifu opened! The 21st Tezuka Osamu Cultural Prize Winners were selected. “Marin Express” vol.2 is released on Jan.19! “Chippo-kun Konnichiwa” (Tezuka Osamu Color Works Collection) is released on December 29! “Tezuka Osamu Hyoshie Shu” was released on October 31. BARBARA is released form ECC, Spain. “My Son-Go-Ku.” vol. 4 (Chinese version) is released from Taiwan Toahn. The 1st volume of “Marin Express” is released on September 23, 2016! In commemoration of the 20th anniversary of Tezuka Osamu Cultural Prize, the special Mook is released. “Mitume Mokushiroku – Akumaoji Sharaku” is serialized! Tezuka Works are distributed on Kindle Unlimited. The winners of the 20th Tezuka Osamu Cultural Prize were announced! The Art Book of Tezuka Osamu’s Sci-fi Heroes is released. The serialization of Black Jack Spin-off titled “Dr. Kiriko – White Death” starts next month! Reproduction of Ambassador Magma’s manuscript is now available on mail order! The article about Ambassador Magma’s unpublished manuscripts is appeared in the magazine ‘Character Land Vol.5’. Unico Twitter Campaign! Let’s post the picture of your Unico! Unico on Twitter, in commemoration of the 40th anniversary! Atom the Beginning vol.2 is released on December 4! Postcard Book “ALL STARS TEZUKA OSAMU” is released on November 13. E-Book Japan is now holding a tie-in promotion for the exhibition “Mangaka ni yoru Hotoke no Sekai (the world of Buddha by Manga artists)”. The novel, “Umi-iro no ANGEL” vol.1 is now released from Aoitori Bunko series. Tezuka Osamu Character’s Cross Stitch Book is released! The Complete Works of Princess Knight (Reprinted version of Nakayoshi Original Edition) are released. The initial printing only! The book “Tetsuwan Atom no Uta ga Kikoeru – Tezuka Osamu to Sono Jidai” is released on July 27. Osamu Tezuka Character’s Cross Stitch Book is released! The distribution of Tezuka Osamu Comic Collections (Kodansha/e-book version) starts! Black Jack appears on the cover of Shosetsu Shincho! Osamu Tezuka’s “Clockwork Apple” Kickstarter NOW Live!! Rakuten KOBO e-book store starts distributing Tezuka works 382 books! “Unico” Fancy Edition is released on April 18, 2015! Promotional Event commemorating the release of new Unico! Unico (new full-color reprinted edition) is released! Osamu Tezuka’s Alabaster Kickstarter NOW Live!! Blue Triton will be reprinted soon! 30% discount! Honto e-book store’s special campaign! Up to 38% discount! Kinoppy is now offering a discount for sets of Tezuka titles. The serialization of Atom the Beginning just started! Manga Zenkan.com holds a year-end sales camapign! The 100 manga titles to be passed down to future generation were presented by e-book Japan. Comic See More offers 71 Tezuka Titles at 30 % off! Jungle Emperor (the picture book version) is firstly published! 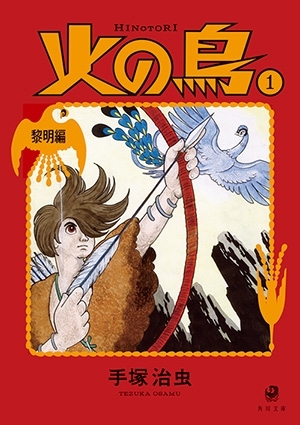 The Art of Osamu Tezuka: God of Manga is now released in Japanese! Book Live! 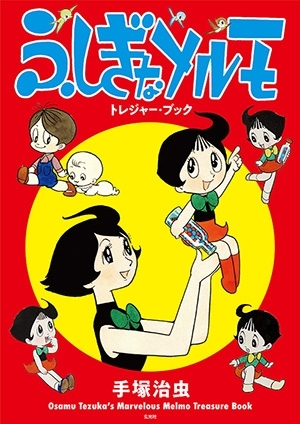 holds a sales campaign commemorating the distribution of Tezuka color manga! Black Jack is serialized in Weekly Georgia! E-book store, Manga Zenkan.com holds a sales campaign celebrating Osamu Tezuka’s birthday! E-book store, Comic See More holds a sales campaign celebrating Osamu Tezuka’s birthday! Osamu DIGITAL BOOK is distributed for free! Osamu Tezuka e-books are distributed for free at Fukushima Ani-Maga Festival on October 18 & 19. The interview with the author of Tezuka Osamu Kabe wo Koeru Kotoba is now posted! “Tezuka Osamu Kabe wo Koeru Kotoba” is released on October 22. Get Tezuka and Isnomori manga at 30% off! The children’s picture books authored by Osamu Tezuka (reprinted edition) are released soon! The 2nd volume of “REBORN Kamen no Otoko to Ribon no Kishi (A man with a mask and Princess Knight)” is released on August 25! Tezuka Work Summer Fair Details! Visualog x Osamu Tezuka Magazine Club Collaboration 3rd iPhone Case Release! 「RE:BORN〜The Man in the Iron Mask – Princess Knight」Volume 1 Released on July 25. Osamu Tezuka’s Beautiful Romanesque Artbook (Updated New Edition) Released! Tezuka Osamu On-demand Magazine Special Edition is released! “Film wa Ikiteiru” original edition is finally released! “The Travel of an Insect Girl“ was awarded a prize for the best foreign manga title at Salon del Comic Barcelona. Astronaut Wakada read “Astro Boy“ in space. The talk show “Black Jack Sosakuhiwa” is held in Tokyo! GAMANGA Books series “Phoenix” is finally completed! Tezuka manga titles are now available at Kindle store! Participants are now being invited in Tezuka Osamu Cultural Prize Presentation Ceremony and Talk Shows. “Bungei Bessatsu Tezuka Osamu Zouhoshinban” is released! “REBORN –Kamen no Otoko to Ribon no Kishi” vol.1 is released! Reader Store holds “Happy Birthday Astro Boy Fair”. “Tezuka Osamu Book Store” is now open! Astronaut Wakada reads “Astro Boy” on International Space Station. “Three-Eyed One – the perfect reprinted edition of the serialization on Shukan Shonen Magazine” is finally released! “Tezuka Osamu Illustration Collections” and “Tezuka Osamu Colar Manga Genga Collections” are released.